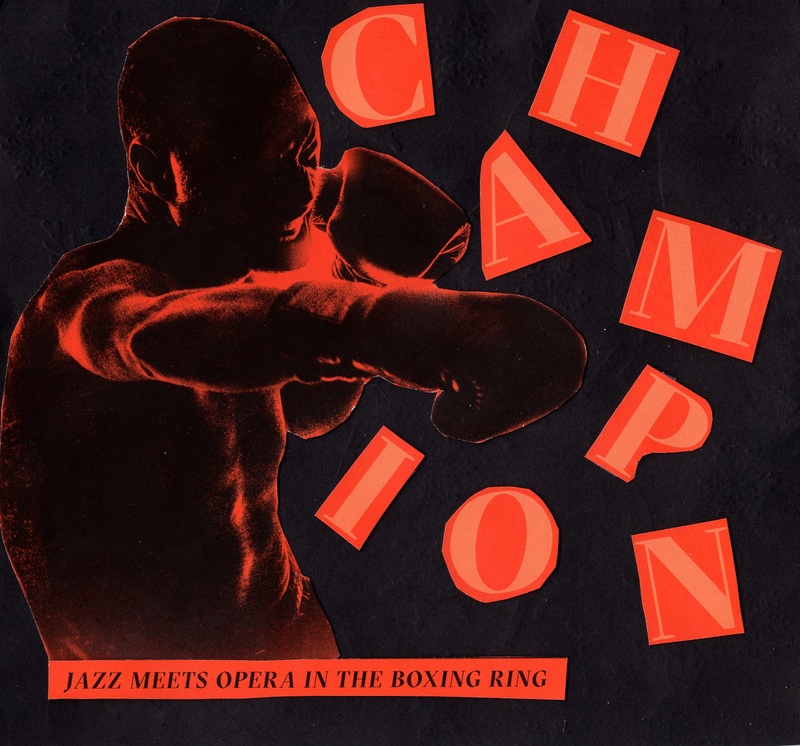 “Jazz Meets Opera in the Boxing Ring” in "Champion"
The opera Champion made its Canadian premiere at Opera de Montreal (OdM) on January 26. Originally performed in St. Louis, US, Champion is the first opera from renowned jazz trumpeter and composer (and current Oscar nominee for his work on BlacKkKlansman), Terence Blanchard, and writer Michael Cristofer. Set in the 1960s, Champion tells the true story of Emile Griffith, a welterweight boxing champion from the Virgin Islands. Griffith, after being extensively taunted by his opponent Benny Paret about his queer identity, knocks Paret into a coma from which he never wakes. The first act of the opera starts with Griffith (Arthur Woodley) in his old age, suffering from dementia. He cannot remember where his shoe is, nor where it belongs. His adopted son, Luis Griffith (Asitha Tennekoon), is acting as his caretaker, and reminds Griffith that they are meeting Benny Paret Jr. The mention of Benny’s name triggers a flashback for Griffith, and the story of how the young man became a boxing legend unfolds. The story cuts to a young Griffith (Aubrey Allicock), as he is leaving the Virgin Islands. A chorus joins in his dancing, proudly proclaiming that “you must reach what you cannot even see.” He heads to New York, where he reunites with his mother, who finds him a job with a hatmaker. The hatmaker, Howie Albert (Brett Polegato), instead takes notice of Griffith’s strong physique and persuades him to try boxing. The climax of the show is Griffith’s fight with Paret (Victor Ryan Robertson). At the weigh-in before the fight, Paret is teasing Griffith, using a swath of homophobic slurs, and physically harassing him. This interaction leads into a song about what it means to be a man and Griffith sings, “somewhere where love is living, there is a man, I am that man, who is this man who calls himself me?” In the 12th round, Griffith knocks Paret out. He ends up in a coma and never wakes up. There were many small moments in Champion, grand in their significance, that really strengthened the show. Older Griffith is never out of sight; if he is not in the scene, he is watching from the balcony, sometimes even participating. In each fight sequence, older Griffith’s shadow boxes from above. Additionally, Champion enlisted the help of the Montreal Jubilation Gospel Choir for some of the larger numbers, connecting with the city it was visiting. There is this prejudiced notion that opera as an art form can only be “European.” Many famous operas display racist and misogynistic stories, especially when racialized characters are portrayed by white people. The premise, music, and cast of Champion may clash with what traditional opera-goers think opera “should” be, but that’s a good thing. Champion opens the conversation about how opera can, and should, be modernized. It asks the question: whose stories are deemed suitable for an opera, and why? Champion boasts an interesting story, spectacular talent, and intimately universal themes of belonging and forgiveness.